For me, giving your audience less is the key in 2015. One of the biggest insights I took away from the Times’ great mobile success, NYT Now, is that there is a big reward in engagement in giving people a smaller number of stories, served up at the right time of day and in the right format. While we are all immensely proud of the majesty and breadth of the New York Times report, for many of our readers, it’s simply overwhelming. Indeed, we are all overwhelmed — by our social feeds, by our overflowing read-it-later accounts, by the bulging digital stack of New Yorkers tucked behind the Newsstand icon. Attention span is the new Page 1. How do we transmit that essential packet of judgment that is Page 1, along with an optimized taste of the breadth of what the Times offers, to our fans? How do you choose what to serve, and to whom, and when? And how deeply should technology guide us in making those decisions? As the editorial lead of an entrepreneurial team trying to figure out how to increase the audience of The New York Times outside of the United States, discovering what people want and when they want it is what I will be spending my time doing next year. I can’t translate every single word of The New York Times into every language. But that’s actually a really good thing, because the future of news will inevitably involve making hard decisions about serving people not just what we think they should know, but what they might like to know — even if they don’t know it. 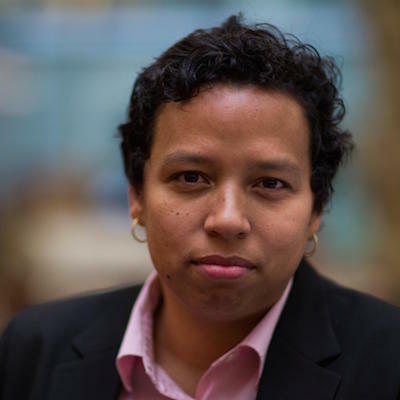 Lydia Polgreen is deputy international editor of The New York Times.